Turn your vehicle on and make sure the odometer reading is being displayed. While the vehicle is off, press the reset button for your trip meter. This will be located near your odometer. The odometer should display dashes instead of numbers and will slowly disappear. Next, zeros will appear and then steadily clear. Once your mileage reappears, you can stop holding the reset button. The Toyota maintenance light should be off. If it isn’t, it’s time to visit a trusted service center. 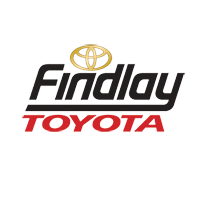 It’s important to get regular maintenance for the safety of your Camry and Corolla, and that’s where Findlay Toyota comes in. We can help with updating your Toyota navigation system as well. Call us at (702) 566-2573 with any questions about your Toyota Corolla maintenance light. 0 comment(s) so far on How Do I Reset a Maintenance Light on a Toyota?